Gerard “Gerry” McCaughey is one of the pioneers in the greening of the built environment and one of the most successful green entrepreneurs. He was named “Industry Entrepreneur of the Year” in 2003 by Ernst & Young. He was the Founder and Chief Executive of Century Homes in Ireland, and later named Chief Executive of Kingspan Century following the $100 million acquisition of Century by the European building materials giant Kingspan Group Plc (KSP on the Irish Stock Exchange). By focusing on sustainability and modern methods of construction (MMC), McCaughey, with his mantra of “Persistence Beats Resistance,” propelled Century from a small start-up operation of four employees into one of Europe’s largest producers of offsite-constructed, wood-frame buildings, and he oversaw the development and launch of one of the world’s first zero-carbon houses. 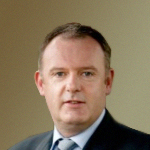 Mr. McCaughey holds a Bachelor of Commerce Degree, with Honors, from University College of Dublin. He is also the recipient of many educational awards including diplomas in Business Fast Growth Management from the Dublin Institute of Technology and Corporate Direction from the Institute of Directors. He is an Honorary Fellow of The Institute of Green Professionals (US). Dawn Rittenhouse joined DuPont in 1980 and has held positions in Technical Service, Sales, Marketing, and Product Management within the Packaging and Industrial Polymers business and Crop Protection businesses. 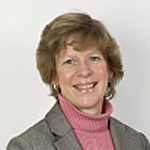 In late 1997, she began working in the corporate organization to assist DuPont businesses in integrating sustainability strategies into their strategy and business management processes. Ms. Rittenhouse leads DuPont’s efforts at the World Business Council for Sustainable Development and the United Nations Global Compact. She also manages the corporate recognition program for Sustainable Growth Excellence. In 2007 she picked up responsibility for DuPont’s efforts on climate change. In 2001 and 2002, Ms. Rittenhouse served a co-chair of the Global Environmental Management Initiative working group that developed the SD Planner. She has also co-chaired the WBCSD working groups on Energy and Climate, Innovation and Technology and Sustainability through the Market. She is currently sits on the Education Committee of the Delaware Nature Society and is on the Sustainability Council at Penn State’s Smeal College of Business. Dawn has a double major in Chemistry and Economics from Duke University. Rick Snyder is the Owner and President/CEO of U.S. Rubber Recycling, Inc., a $6 million recycled-tire rubber flooring business based in Colton, California. 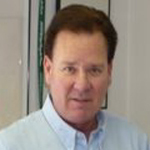 Mr. Snyder has a wealth of experience stemming from a diversified career spanning several industries. He got his start in sales and marketing as the Senior Vice President of Marketing for Hutch Sports where he negotiated licensing contracts with the NFL, MLB, NBA, NCAA and Disney Studios. He has held the title of President at three other companies, besides U.S. Rubber. Two of these companies, Good Ideas Toys and Aquacell, were publicly held companies. During his tenure at U.S. Rubber, he has become known as visionary and cutting edge innovator within the recycled product industry. Dan Bennett consults for Lerch Bates, a global leader in technical consulting for the building industry, after having spent twenty-three years at Otis Elevator Company. 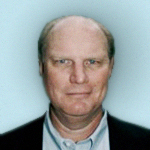 He spent ten years of his career specializing in elevator modernization and was responsible for the sale and management of new equipment projects throughout the western United States. As a Project Manager for Lerch Bates he has designed and managed a variety of projects in the commercial, residential, healthcare, and educational fields. Prior to joining Lerch Bates, Mr. Bennett held a variety of roles with Otis, all of which were customer-facing. As Regional Sales Manager, Mr. Bennett coordinated between design, engineering, and installation groups to successfully grow sales from $200 thousand to over $4.5 million in two years. Mr. Bennett had personal responsibility for managing over two dozen multi-million dollar equipment installation jobs that involved coordination among architects, engineers, general contractors, manufacturing, and field labor management to insure proper ordering and installation of equipment in compliance with specification and project schedules. Mr. Bennett has a B.A. from the University of Washington and is an Associate Member of both the American Institute of Architects and the Building Owners and Managers Association.